Choose your size, decide your colour combinations, and pick your cover for a fully customised play experience. With a Plum® Create Your Own Trampoline, children can play with colours. Choose from a fun Flamingo Pink, a Soft Slate Grey, a cool Jet Black or Tropical Print PVC safety pad. The trampoline legs are galvanised inside and out for added rust protection. Choose either a silver colour finish or upgrade to a premium black powder coated finish for extra style. Children can mix or match the colour of their foam set to the safety pad and net. Enclosure pole foam comes in Flamingo Pink, Soft Slate Grey, or Jet Black. The enclosure net has a colour top rim! Finish off the look with of their choice of Flamingo Pink, Soft Slate Grey, or Jet Black. A free cover included! Choose from a Flamingo Pink, Soft Slate Grey, or Jet Black cover to protect your trampoline and stay weather protected. 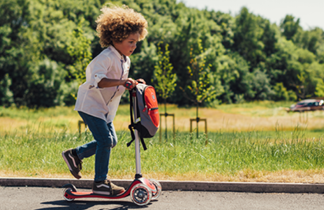 Our Springsafe technology gives and even and controlled bounce for users and the ® 2G enclosure separates the jumper from the springs and frame at all times during play.